Vlasina non-carbonated natural spring water, 0.33L (pack of 12). Ideal for children’s lunchboxes and hydrating, and due to its shape and size, perfect for carrying in a backpack or a lady’s bag. Vlasina non-carbonated natural spring water, 0.6L (pack of 12). A reliable teammate in every sports or recreational activity. This bottle is always a good companion for biking or driving. Vlasina non-carbonated natural spring water 1.5L (pack of 6). This is the right choice to share with friends or family or to serve guests. It can be kept on a shelf or in a refrigerator and served throughout the year at a temperature similar to that at the source - 6°C. 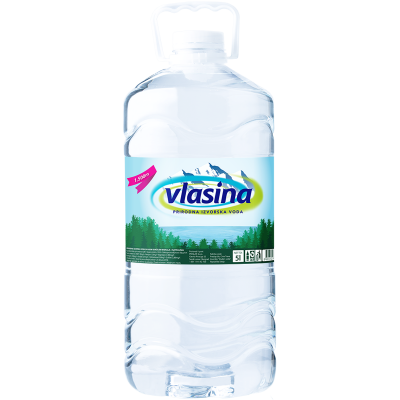 Vlasina non-carbonated natural spring water 5L.  The pack can meet the daily needs of a family, and it can be taken on hikes. 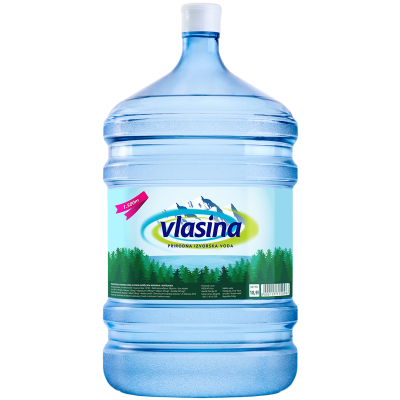 Vlasina non-carbonated natural spring water 18.9L. For your home or company, with own or leased water cooler.